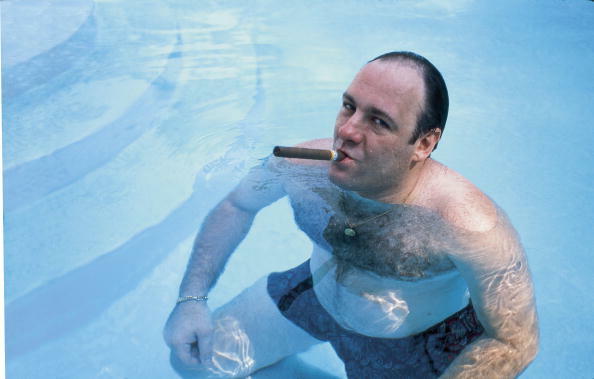 The Sopranos is currently celebrating the 20th anniversary of its premiere on HBO, and in honor of the big 2-0, show creator David Chase shared some juicy details about the upcoming Sopranos prequel movie, The Many Saints of Newark—namely, that young Tony is going to play an important role, Deadline reports. The movie isn’t just going to be some Muppet Babies version of The Sopranos following Tony and a young Paulie Walnuts who still inexplicably has the same hair as a child, though. The Many Saints of Newark is set during the race riots that broke out in Newark, New Jersey, in the late 1960s, and will likely focus on Tony’s dad, Johnny Boy, and his uncle Junior Soprano’s heyday chopping off fingers in the mafia, as well. The 1999 episode “Down Neck,” from season one, featured a few flashbacks from the 1967 Newark riots, following Tony as a young boy who just wanted to play the electric organ and have a catch or whatever. But it sounds like he’s going to be dealing with some more serious stuff than baseball in the prequel. “The movie will deal with the tensions between the blacks and whites at the time, and Tony Soprano will be part of this, but as a kid,” Chase told Deadline. The Many Saints of Newark will be helmed by longtime Sopranos director Alan Taylor, based on a script by Chase himself. There’s no word yet on when the movie will debut on HBO or who will star as a young Anthony Soprano—but please, for the love of all that is holy, keep the Stranger Things kids far, far away. There we have it, folks. The Young Tony prequel movie we never knew we wanted is coming, whether we like it or not. Get ready for the inevitable Mad Men prequel movie about a teenage Don Draper’s depressing life in a brothel!